An honors graduate with a B.A. in journalism from the University of Northern Colorado, Ken Pomponio has been a professional journalist for more than 20 years. He is an award-winning sports writer and editor for newspapers along the Colorado and Wyoming front range, including the "Loveland (Colo.) Reporter-Herald." He also has blogged online for "USA Today" and the Big Sky Conference. In the conventional five-member triathlon family, the mini or sprint triathlon is the baby of the bunch. It's by far the shortest race of the group, and it's designed to accommodate beginner and aspiring triathletes who aren't sure whether they're ready to tackle the longer distances of a conventional Olympic-length competition or more. For some triathletes, mini-triathlons are merely a stepping stone. For others, they're the preferred circuit of competition. Mini or sprint triathlons vary race to race and course by course. 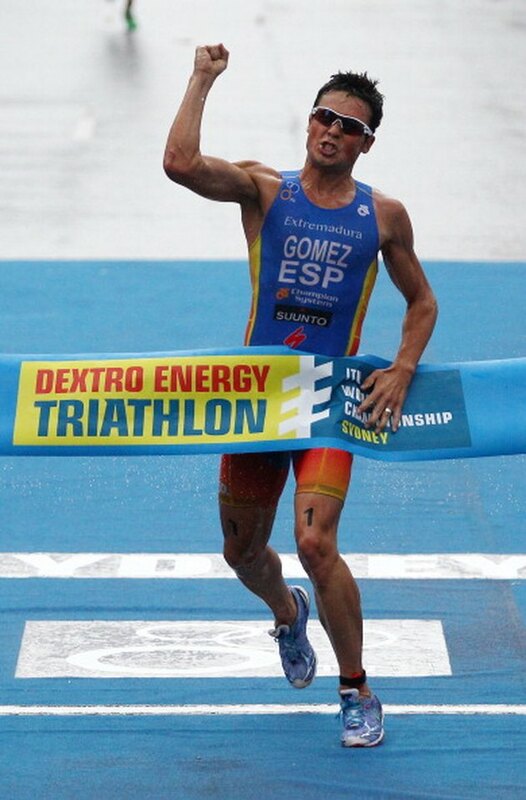 On the low end, super sprints consist of a quarter-mile swim, a 6.2-mile bicycle ride and a 1.5-mile run. Full sprints typically feature a half-mile swim, 12.4-mile bike and 3.1-mile run. In general, though, mini-triathlons feature swims of less than a mile in length, bike distances no farther than 15 miles and runs no farther than five. The sprints and mini-sprints are only the start of the many triathletes' journey. 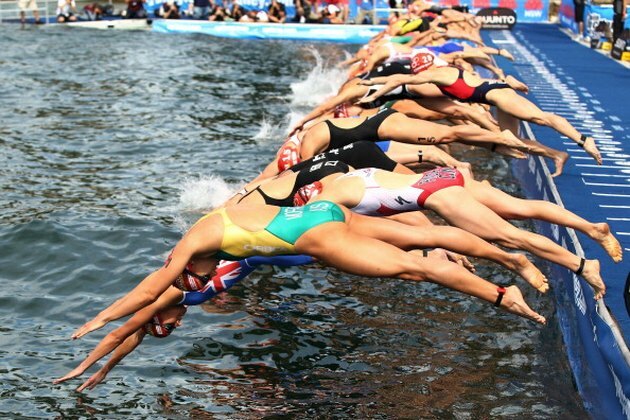 The Olympic or standard-course triathlons are the next step. These races feature more consistent distances and consist of a .93-mile swim -- 1.5 km -- a 24.3-mile biking course and a 6.2-mile run. At double the distance of Olympic triathlons and geared more toward professional triathletes, International Triathlon Union races are a circuit of World Cup events that feature a 1.86-mile swim, a 49.6-mile bike ride and a 12.4-mile run. From their modest U.S. beginnings in the early 1970s, triathlons quickly grew in popularity. Seeking to catch the wave, the Hawaii Ironman Triathlon was founded in 1978. The Ironman combined several existing Hawaiian race events to form what is now recognized as the sport's ultimate challenge: a 2.4-mile swim, a 112-mile biking course and a full-marathon 26.2-mile run. Half Ironman events are exactly half the three distance legs of the Ironman. While most athletes will never tackle the Ironman, many do aspire to call themselves triathletes. That's where mini-triathlons come in. Even "moderately fit" individuals can be ready in compete in a sprint triathlon in eight weeks. According to training plan detailed by Fitness Magazine, workouts begin with a basic 30-minute bike ride, progress to a 20-minute walk/run and build from there. At the end of Week 8, it's time to tackle the race itself.